Each level has fixed amount of friends you must save and tokens to collect. Find them all and punch enemies. Unkitty needs your help as lots of her friends are lost. You have to find them inside maze levels and collect tokens to maximize points. Can you do that? 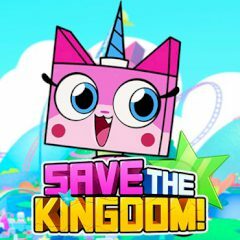 Games Similar Unikitty! Save the Kingdom!